This story starts out kinda funny. I had been following Lysa Flower on Instagram for a while, and realized she must live close to me after she posted some pictures to local events. I can't remember how it came out for sure, but after a couple messages back and forth, we discovered we actually live in the same town! How cool is that?! Lysa is as cool in real life as you imagine she might be from her Instagram feed. Lysa was going to the Spring Quilt Market and had some projects on the go and when she asked me to make this bag with her Cassette pattern and Kimberly Kight's Snap to Grid fabric, I simply couldn't turn it down. I was a little nervous to dive right in since I didn't have a ton of paper piecing experience. I made this practice one using Libs Elliott's Tattooed collection and omitted the piping. I also only put the cassette on one side since this was just practice and time was ticking. You may have noticed I did in fact make some mistakes on this one: my seam allowance was a little too small in the top left and you can see my stitching, and I didn't use a separate colour for the center of the "cassette." Phew! I was glad to learn those mistakes on my practice! I also tried to place tabs for the strap at the seam for the zipper panel, but that made it very difficult to do the drop in lining at the end, not impossible, just verrrry difficult. The Snap to Grid collection is so much fun! If it reminds you of the 80's, that's because it's meant to! It'll have you wearing side ponies and stirrup pants (or at least reminiscing about them). Lysa wanted the whole bag to be like a 3D cassette tape, not just on the front, so we adapted both the Sew Sweetness Polaris bag and Lysa's Cassette Tape pattern to make it happen. ​Cotton + Steel has such fun selvages and I was so glad this project has the perfect place for them. For the Exterior Bottom Panel, I used the Large cassette bottom pattern piece and extended the lines to match the width of the bag pattern. Then I added matching fabric to make up the rest of the panel. Once I completed all the paper piecing, assembling the bag was identical to the instructions in the pattern. The inside of this bag is just as cheerful as the outside, isn't it? You can read about the rest of Lysa's Market projects and collaboration with Kimberly Kight over on her site, and sign up for her newsletter while you're there! Day 5: Finish the bag! Thanks so much to everyone who joined me and to Emmaline Bags for offering up prizes and a discount. ​Dot used a mix of neutrals to create a gorgeous elegant beauty. Roxanne's contrast stitching and snappy edge clasp balance out the browns in this bag perfectly. I love the detail Tara added to the pocket flap, and the contrast in the casing and zipper! Dot, Roxanne and Tara each won an Emmaline Bags credit: have fun shopping for bling ladies! You can search #CastellDayBag on Instagram for more inspiration. I hope you enjoyed this set of Sew Along posts. Let me know in comments or email what you'd like to see more of on this blog. Stay tuned for a fun round-up. I guess it's a tradition now! Since my oldest son got a backpack when he went to school, my other son was expecting one when he started Kindergarten. Thanks to gradual entry, I managed to get an extra week to finish this one up. He's much smaller and won't really be bringing much home each day, so I decided to go with the Sew Sweetness Cumberland Backpack (small size). 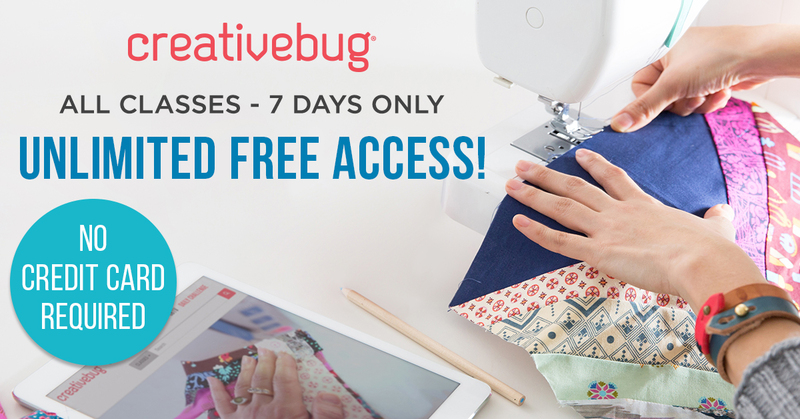 The patterns comes with many purchase options, including a bundle of PDF pattern and video. The video is an online workshop where Sara of Sew Sweetness goes through each step with you. Here's a trailer of the video for the Cumberland Backpack. I loved that this bag started taking shape right away; sometimes bags can take so long to make and you can't really see progress along the way, but the front zippered compartment is pretty early on. This looks tricky since it's a zipper along a curve, but it actually went pretty smoothly, especially with the wider zippers I use (and called for in the pattern.) I chose a simple magnetic snap, but the pattern includes instructions and measurements for a twist lock as well. I used two different prints from Libs Elliott's Tattooed Collection. The silver in the lightning bolts of the main print matches perfectly with the vinyl I used for some of the accents. I also used grey zippers and matching webbing to tie it all together. I've come to really appreciate the binding finish! This pattern actually comes with two finishing options. If you really don't like doing the binding, you can follow a separate set of instructions, which are clearly marked for the alternative method. I like that the binding finish offers a relatively quick and simple way to complete the bag and even adds a bit of structure for the shape. You don't need your binding stitching to be perfect because it's hardly going to be seen, squished into the seams inside the bag. I can see making this as a cute backpack purse for myself, and I love that simple changes can give it a completely different look. If you haven't already, you should check out thetester photos on the Sew Sweetness site for some examples. Now they each have their own, and I'm off the hook again, until next year! The small Cumberland is the perfect size for my little Kindergartener! If you missed it, you can read about the Adventure Time Backpack (pictured below left) here. If you want to give the Cumberland Backpack a try, you can purchase the pattern here. Every year I tell myself that I'll prepare better next year, but when the time comes, I haven't and I'm left scrambling with my back-to-school sewing. Oh well, that's the way it goes I guess. It just adds to the excitement of sewing: racing against time. Two years ago I made my son a backpack (you can read all about it here) and he really loved it, and it lasted amazingly. It was only starting to wear at the hanging loop. I could fix the loop, but I think it's time for a new bag anyway. For my youngest, I'm making the Sew Sweetness Cumberland Backpack, but I wanted a more traditional style backpack for my oldest. After nearly giving up, I found the Andrie Designs Adventure Time Backpack. I like that it comes in 2 sizes (I made the large) and that it has options for side pockets, plus the front zippered pocket. There are also options for an organizer-type interior pocket and additional zippered pocket at the front, but I omitted both those features. I also skipped the piping to keep the project a bit quicker. I kept the interior zippered pocket and added a strap to stabilize the load inside. According to the Canadian Chiropractic Association, the heavier items should be closer to the body, so the idea is that the strap inside can hold the heavier books toward the back and lighter items, like a lunchbag in front. The strap was really easy: I just sewed a piece of velcro into each side seam of the back panel. So he can adjust it to be narrow or wide depending on what he's carrying that day. Water bootle pockets are a must! In the winter, he likes to use these side pockets for his gloves too. I used the polyester mesh from Paccana; it's really affordable, and durable too. Even though the last one held up really well, I wanted to make this one a bit more durable, so I used Cordura (also from Paccana) for the base and back panel of the bag. This will also help keep the insides dry if he sets his bag down outisde. I found this fabric at my local fabric store, Overseas Fabrics, actually my son picked it out. I rarely take him to the fabric store with me, since I'm usually asking my kids to stop touching everything, because it's so darn tempting to touch it all, even for me. I was pleasantly suprised though, when the owners welcomed my kids and invited them to touch the fabric and enjoy their time in the store. Since we were at ease, it was no trouble finding the perfect fabric. He told me he wanted space or galaxy fabric, so when we saw this one, it was perfect. 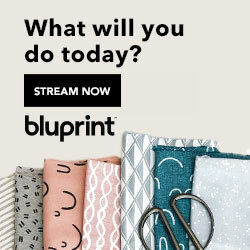 They have a huge selection of solids and we easily matched one of the colours from the print. I happened to have zippers that matched perfectly, and the velcro was such a fluke! Of course none of this matters unless he likes the final product, so I'm happy to report, he is one happy customer! Did you have any back to school scrambles? Let me know what you were up to for back to school sewing. If you're looking for more back-to-school ideas, check out this round-up post from last year.